Many food products that you may bring home from the store are packaged either in plastic containers or containers with plastic lids meant to reseal the product once it has been opened. This means you may have a collection that can be used for storing food and other purposes. One item that you will find can often accumulate quickly is extra lids. 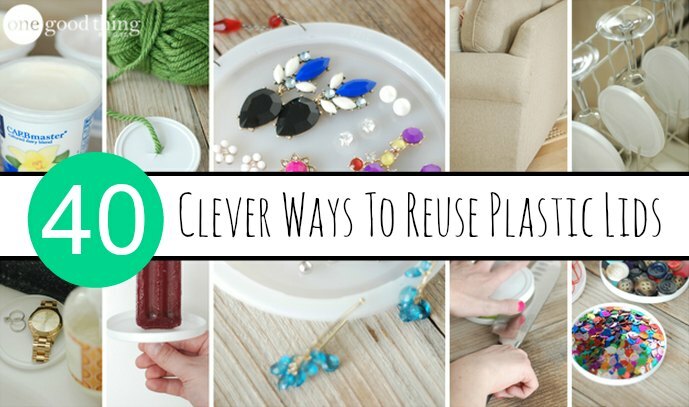 However, there are many ways to reuse these plastic lids. The size of the lids you have may dictate the uses that are available. You may find large lids are better than small lids based on the application. This includes using extra lids as seed starters or labeling them to make a sign. Other ways to reuse plastic lids will depend on your imagination and ingenuity. Another unique way to reuse plastic lids is to move heavy pieces of furniture. This is a cheaper method than purchasing furniture moving products. You may find a collection of lids may be better to keep than to throw in the trash if recycling is not an option.